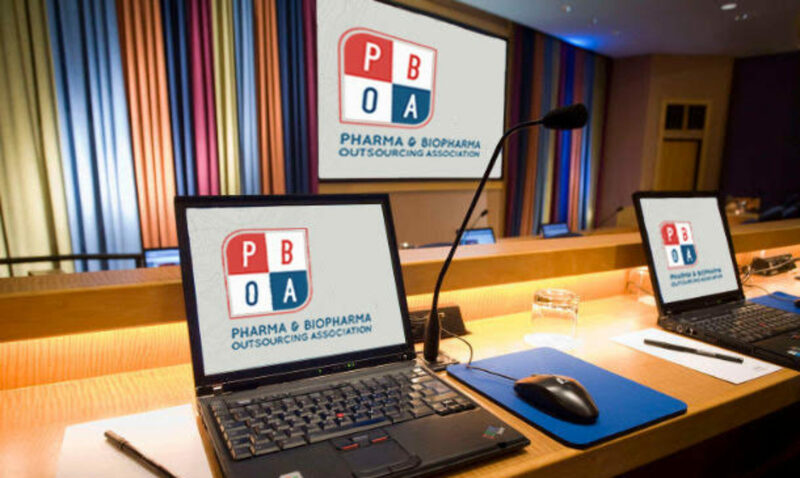 The PBOA Meeting & Conference features speakers and panelists who represent decades of expertise in pharma and biopharma outsourcing fields. We’ll post their bios as they’re confirmed! Sarah Barkow is the acting director of the Manufacturing Quality Guidance and Policy Staff in CDER’s Office of Manufacturing Quality at the FDA. She leads a staff of senior technical and policy advisors, regulatory counsels, and writer/editors in the development of guidance documents, regulations, and policy documents that support current good manufacturing practice in the pharmaceutical industry. Dr. Barkow has served as subject matter expert in areas including data integrity, medical gas, and field alert reports. Prior to joining the FDA, she worked as a project lead for immunoassay development, in verification and validation, and as technical support for the manufacturing floor. Dr. Barkow holds her Ph.D. in Physical Chemistry from MIT, where she worked on molecular motors in the laboratory of Prof. Robert Sauer, as well as her M.S. in Chemistry and her B.A. in Chemistry and Physics from Brandeis University. Dan is Principal Consultant for BSI EHS Services and Solutions in Reston VA. He has over 40 years of broad-based professional experience in the recognition, evaluation and control of potential environmental and occupational hazards in industrial, commercial, residential and office settings. Experience highlights include working with the US Navy (Code 106), Newport News Shipbuilding; management of multi-year contracts with the National Shipbuilding Research Program, Federal Highway Administration, US State Department, US Department of Housing and Urban Development, US Public Health Service and the Centers for Disease Control and Prevention, pharmaceutical, information technology and construction industries. Dan has a BS in Environmental Health from Old Dominion University (Norfolk, VA) and an MS in Industrial Hygiene from Texas A&M University. Mr. Cohen is a Managing Director at RBC Capital Markets, where he is responsible for the firm’s relationships with pharmaceutical and pharma and medical device outsourcing companies including CMOs and CROs. He is an accomplished M&A practitioner, having worked with and advised companies over the past 20 years on the execution of M&A transactions valued at over $75 billion. Recently he advised Cambrex on its acquisition of Halo Pharma, Medplast on the acquisition of Integer’s Advanced Surgical and Orthopedics business, SK Capital on its acquisition of Perrigo API and GTCR on its acquisition of AMRI. Prior to joining RBC in 2015, he was a member of the Executive Leadership Team and head of Global Corporate Development at Catalent, the leading global provider of advanced delivery technologies and development solutions for drugs, biologics and consumer health products which completed its IPO in July 2014. He joined Catalent in 2010 and, after developing Catalent’s inorganic growth strategy, completed 14 transactions valued at approximately $1 billion. Mr. Cohen’s transaction experience at Catalent included acquisitions, divestitures, structured transactions and emerging markets. He has extensive experience evaluating the acquisition and monetization of pharmaceutical products, having completed multiple transactions including the acquisition of US rights to propranolol ER from Forest Laboratories. Prior to Catalent, Mr. Cohen spent 13 years on Wall Street where he focused on healthcare M&A, particularly within the drug delivery, specialty pharma and generic pharma industries, including at JP Morgan and Bear Stearns. Tom Cosgrove is a partner in Covington’s Food, Drug and Device Practice Group. He joined Covington in 2017 from the Food and Drug Administration (FDA), where he was a senior official charged with ensuring the quality of drugs and therapeutic biologics marketed to U.S. patients. Mr. Cosgrove brings a wealth of experience to bear in helping clients navigate the complex world of pharmaceutical compliance and enforcement in the United States and around the globe. At FDA, Mr. Cosgrove held senior leadership positions within the Office of Compliance in the Center for Drug Evaluation and Research (CDER), including leading the organization as Acting Director in 2016. Beginning in 2014, he led the Office of Manufacturing Quality (OMQ), where he was responsible for CDER’s enforcement activities covering current good manufacturing practice (CGMP) and drug quality. In this role, Mr. Cosgrove was responsible for setting FDA’s CGMP enforcement priorities and for clearing warning letters, import alerts, and referrals for civil and criminal enforcement. He also played a central role in the FDA’s deliberations concerning the approval of marketing applications submitted by companies with manufacturing compliance challenges. As Acting Director of CDER Compliance in 2016, Mr. Cosgrove oversaw OMQ as well as the offices responsible for enforcing FDA’s requirements for drug approval and labeling, human drug compounding, drug supply chain security and integrity, and clinical trials and bioequivalence studies. He is a frequent speaker at conferences and trainings focused on drug quality, compliance, and enforcement at home and abroad. Joyce has over 30 years of experience in the pharmaceutical industry, primarily in the generic sector, having started out in the analytical laboratory (Research and Development as well as Quality Control) and then moving into Regulatory Affairs. Now working with Teva Pharmaceuticals Inc., USA as a Sr. Director, Regulatory Affairs, Preapproval Generics, she is responsible for regulatory strategy, submission and maintenance of FDA submissions developed both internally and externally. She has experience with a variety of dosage forms, including solid oral dose immediate and extended release, sterile injectables, nasal sprays, sterile ophthalmic, creams, liquids, ointments, drug device combos and complex drug products. Joyce is a graduate of the state University of New York at Stony Brook with a Bachelor of Science degree in Biology. Brent Del Monte currently serves as Senior Vice President at the BGR Group. In this role he represents clients, particularly life sciences companies, to help them achieve their objectives with the Federal government. A native of Northern Virginia, after graduating from the College of William & Mary in Williamsburg, Virginia, Brent embarked on a career in public policy by joining the staff of Senator John Warner (R-VA). Brent later served on the staff of Representative Tom Bliley (R-VA), where he held various positions, all with responsibility over health care issues. While serving for Representative Bliley, Brent attended Georgetown University Law Center in the evening, graduating with high honors. After graduating law school and clerking for United States District Judge Claude Hilton, Brent returned to the Hill where he served as a Counsel for the House Committee on Energy and Commerce, with primary responsibility over food and drug issues. In this position, he successfully saw enactment of the Medical Device User Fee Act, the Project BioShield Act, and the reauthorization of the Best Pharmaceuticals for Children Act and the Prescription Drug User Fee Act (PDUFA). Brent then served as the Senior Vice President for Federal Government Relations at the Biotechnology Industry Organization (BIO), where he successfully worked for the successful enactment of priority legislation, such as: a pathway for the approval of biosimilars at the FDA; the Therapeutic Project Discovery Tax Credit; liability protections for bioterrorist and pandemic countermeasures; two reauthorizations of PDUFA, including important reforms to the Accelerated Approval pathway at FDA; patent reform; and the 21st Century Cures Initiative. Commander Tara Gooen Bizjak is an engineering officer in the United States Public Health Service and a Senior Science Policy Advisor at the FDA. She works in the Office of Policy for Pharmaceutical Quality in the area of developing new regulations, guidance, and standards. CDR Bizjak has been with the FDA for 15 years, starting as a field investigator in the New Jersey District, primarily focusing on drug manufacturing and current good manufacturing practice (CGMP) inspections. In 2007, she transferred to CDER to the area of a manufacturing and product quality and was a subject matter contact for several CGMP topics, including pre-approval inspections, continuous manufacturing, pharmaceutical quality systems, water quality, and scale-up issues. Prior to her current role, she served in multiple roles, including branch chief and senior advisor. CDR Bizjak received a B.S. in Chemical Engineering from Cornell University, a Masters in Biomedical Sciences from the University of Medicine and Dentistry of New Jersey, and is an ASQ (American Society for Quality) Certified Quality Engineer. Dr. Ke Hong is a Sr. Manager in Manufacturing Process Analytics and Control group at Pfizer Global Supply’s Technology Services Department. He has over 20 years of experience in Process Analytical Technology (PAT) development and implementation. Dr. Hong joined Pfizer in 2000 as a Senior PAT Scientist and has since provided various PAT implementation support across the Pfizer Global manufacturing sites. In the past 10 years, Dr. Hong has been involved in the development and deployment of Advanced and Innovative Platform Technologies in Pfizer that use integrated Process Analytical Technology, advanced Process Models, Soft Sensors, Intelligent Process Monitoring and Real-time Control and Optimization strategies to optimize manufacturing performance, and improve process reliability across Pfizer Global Manufacturing Supply network. He was a major contributor for successfully implementing a real time PAT solution as part of a continuous process for drug product in 2009 and also managed the PAT implementation of an intelligent optimization system for a drying process, resulting in a significant cost savings. Dr. Hong also led a subteam to develop PAT and Advanced Process Control (APC) solutions for Pfizer’s 1st Portable, Continuous, Miniature & Modular Development and Manufacturing (PCMM) system. Paula Katz advises clients on pharmaceutical compliance and enforcement. She joined Covington & Burling after serving as Director of Guidance and Policy for the Office of Manufacturing Quality in the Center for Drug Evaluation and Research (CDER) at the Food and Drug Administration (FDA). While at the FDA, Ms. Katz focused on current good manufacturing practice (CGMP) enforcement and drug quality policy issues. She advised CDER and FDA leadership regarding manufacturing supply chain controls, contract manufacturing, data and application integrity, administrative law and procedure, and regulatory policy development and enforcement strategy. As a member of Arent Fox’s FDA Practice, Emily focuses her practice on a wide array of regulated products, including laws governing prescription, generic, and over-the-counter drugs, dietary supplements, foods, alcoholic beverages, and cannabis. Her work in medical products includes helping clients understand regulatory issues involving the marketing, manufacturing, and importation of drugs and devices, including registration and listing, current good manufacturing practices, and supply chain management. Eric Marshall is a senior director based in Washington, D.C. for Leavitt Partners. Eric advises complex health care coalitions on health policy and provides consulting services to drug and device companies. Eric is an industry specialist in the areas of domestic and international supply chain security; drug, device, and diagnostics regulation; and health care compliance. Prior to joining Leavitt Partners, Eric was an associate with the law firm Faegre Baker Daniels, counseling health care and life science clients on regulatory, compliance, and transactional matters. Eric also has experience as counsel to self-funded Taft-Hartley health and welfare funds, particularly with regard to requirements of the Affordable Care Act. Eric graduated Order of the Coif from the University of Minnesota Law School and has a bachelor’s degree in economics and finance from the University of Northern Iowa. Johnathon is a Partner in PwC’s Pharmaceutical and Life Sciences sector heading up the European supply chain team. He has considerable consulting experience in the Pharmaceutical and Life Sciences industry and experience with FMCG industries. He has worked with a range of leading global Pharmaceutical and BioPharma companies to deliver new business and supply chain models, from initial design concept through to implementation. Recent experience has focused on the design of agile supply models presenting greater cost base flexibility through the adoption of structures proven in adjacent industry sectors. His experience spans both commercial and investigating pharmaceutical supply chain. Johnathon has worked at all levels within client organizations, covering both commercial, sales and R&D functions. He works across geographies, supporting clients from the US, Europe, Nordics and Japan. Gerti is a leader in medtech with more than 12 years of experience across cardiovascular, orthopedic, specialty-surgery, imaging, and diagnostics areas. He has advised clients on a range of topics that include strategy, commercial models, M&A, postmerger integration, digital transformation, organization, and operations. Patricia Seymour is a Principal Consultant with BioProcess Technology Consultants and has more than 25 years of experience in the biotechnology industry. Her expertise spans the development and commercialization spectrum, including biologics and small molecule development, supply chain strategy and operations, quality, regulatory and manufacturing, and management, and operations leadership. Her current activities include developing overall CMC strategies for diverse product pipelines, developing and implementing supply chain strategies, managing outsourced process development and manufacturing activities from drug substances through to distribution, steering clients through CMC quality and regulatory requirements, and overall CMC operations including project management. Prior to joining BioProcess Technology Consultants, Ms. Seymour was Senior Director, Global Investigational Supply Operations at Millennium Pharmaceuticals, Inc., where she worked with other senior leaders to develop and implement CMC strategies, including outsourcing. She was previously Director of Business Development at Covance Biotechnology Services (now part of the FujiFilm Diosynth) where her responsibilities included negotiating contact manufacturing projects. As Senior Director, Corporate Development at Collaborative BioAlliance she was instrumental in launching the new contract manufacturing business unit. Before Collaborative, Ms. Seymour held research and development positions at ImmunoGen, Dana Farber and Sloan Kettering. Ms. Seymour received her B.S. from Villanova University and her M.B.A. from Boston University. Ms. Seymour is also Certified Supply Chain Professional (APICS). Dr. Sussman is currently Managing Director of SafeBridge Consultants, Inc., a Trinity Consultants company that provides environmental health and safety services to pharmaceutical, chemical, biotechnology and other industries. With more than 25 years of experience, he is a recognized expert in the evaluation of occupational hazards of potent pharmaceutical compounds and has delivered numerous papers and lectures on the subject. Dr. Sussman has extensive experience in: (1) performing risk assessments including evaluating toxicological and exposure information to determine potential health effects of chemicals, (2) presenting toxicological data to regulatory agencies and assessing the potential impact of environmental, health and safety regulations on chemical and pharmaceutical companies, (3) evaluating safe levels for product cross-contamination by drug substances or other chemicals, and (4) the testing of chemicals for their toxic effects and the interpretation of data from these tests. Dr. Sussman has provided clients with the practical aspects of applying toxicological data to worker and consumer exposure situations for potent and toxic compounds handled in the workplace. He has provided training and technical support to diverse audiences to meet regulatory requirements and to provide solutions to their environmental health and safety challenges. He has worked in various capacities in corporate occupational toxicology groups culminating as a Director of Occupational Toxicology in Pfizer’s Corporate Environmental Health and Safety Department. His group was responsible for evaluating the toxicity of pharmaceutical products, their intermediates and other chemicals handled in research facilities and providing hazard communication information to all research facilities worldwide. Bob has an Sc.B. in Bioenvironmental Engineering from Brown University and a Ph.D. in Environmental Health Science from New York University. He is a Diplomate of the American Board of Toxicology, a past member and chair of the AIHA’s WEEL Committee, and a founding member of the Occupational Toxicology Roundtable and serves on that organization’s steering committee. Bob is also a member of the Society of Toxicology, American Industrial Hygiene Association, and the International Society of Pharmaceutical Engineers. He has had an adjunct appointment at the NYU Medical Center where he gives several lectures each year on regulatory toxicology, risk assessment, and industrial hygiene aspects of the pharmaceutical industry. With nearly 20 years of experience in API and Finished Product R&D and Manufacturing operating in the CDMO industry, Dr. Verbicky has served technical and business roles, consulting on countless programs. Since 2017 Dr. Verbicky has consulted in the areas of CMC Project Management, Alliance Management, Injectable Product Development, API Process Development and Scale Up, and Licensing/Partnering. Previously, Dr. Verbicky was Vice President of Business Development and Marketing for TCG Lifesciences, Vice President of Commercial for Piramal Pharma Solutions, Director of Business Development and Marketing for Coldstream Labs, and Manager of Project Management at AMRI. During his career he routinely consulted to develop project plans and regulatory strategies with pharmaceutical and biotech companies of all sizes. Dr. Verbicky received his B.S. (Chemistry) from the University at Albany, a Ph.D. in Synthetic Organic Chemistry from the University of New Hampshire, and an MBA focused on Marketing from the University at Albany. Dr. Verbicky completed his post-doctoral research in the synthesis of phospholipids and sphingolipids at Queens College. He is an expert in synthetic chemistry, mechanistic investigation, process optimization, and project management. Dr. Verbicky has authored or contributed to more than 70 patents, publications, and presentations in the areas of project management, business, pharmaceutical development. He is a member of technical advisory boards for INTERPHEX, CPhI North America, and AAPS’s Contract Research Organization Focus Group. Brian Vogel has over twenty-five years of experience in software with a focus on GMP regulations for manufacturing. For the last 10 years, Brian has been focused on process optimization, regulatory compliance, and IIoT offerings. Brian has served in both senior technical sales and leadership capacities, providing business and technical consulting to Fortune 100 companies with an emphasis on providing ROI analysis, implementation strategies and operational efficiencies designed to maximize business value. Currently, Brian is part of the Global Information Solutions team at Rockwell Automation, focusing on manufacturing execution systems (MES) and analytics for the life sciences industry with an emphasis on facilitating digital transformation with IIoT technologies. As a trained chemical engineer, Dr. Ying Zhang reviews chemistry, manufacture and control (CMC) information in drug application since 2009. Currently she is a branch chief in Division of Inspectional Assessment in Office of Process and Facilities, CDER, FDA. Her review experience covers various unit operations, scale up, control procedures and equipment used for manufacture of a variety of dosage forms, as well as facility assessment for its adequacy to support drug application approval. Before joining FDA, she worked as an application scientist at Symyx Technology, focusing on high throughput workflow development for pharmaceutical applications and equipment OQ/PQ.